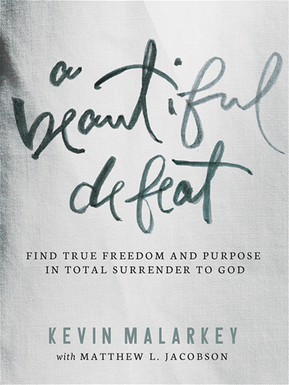 A Beautiful Defeat, by Kevin Malarkey, is one of the latest books on “Christian living” to come out of Thomas Nelson books. With the subtitle “find true freedom and purpose in total surrender to God,” Malarkey’s book is refreshingly clear and God-focused. In fact, it totally surprised me. Usually as I read mainstream Christian publishers, my heart sinks page by page. A Beautiful Defeat, on the other hand, proved to be a very solid little book. My problems with the book relate more to the publisher’s decisions than the author’s. Despite these nitpicks, this book holds a desperately needed message. Why? It’s not written urgently, to drum up sales. Nor is it even exceptional writing. Instead, the message and focus of this book make it special: GOD. Kevin Malarkey calls us to lose ourselves as we throw ourselves into God. This entire book is pointed away from us. Malarkey’s ten goals are all a result of looking to God first a foremost, above anything else. “Where is your money” and “where is your time” are common enough questions for author’s to ask. Malarkey doesn’t skirt the main issue, though. We’re all idolaters. His answer, “Repent, turn to God.” The practical is woven in among this trumpet call. I found his chapter on the armor of God to be some of the most helpful ideas for day-to-day life that I’ve read all year. I have one big issue with A Beautiful Defeat, and it’s this: the arbitrary divide inserted between Christians and non-Christians. The book is all about sanctifications: being made more like Jesus Christ in our day-to-day lives. Yet might not anyone pick up this book, looking for how to surrender to God in the first place? As is, they’ll not find it — not explicitly. Also, might not a Christian welcome being reminded of Christ’s death on the cross — the act that makes sanctification possible? Quite simple, this book picks up ‘beyond’ the gospel, as if it were just an admission ticket. This is the event in all history that defines all Christians and their sanctification. Regardless of who reads this book, the gospel should be in it. Everything that A Beautiful Defeat does touch on is admirably covered. It’s an excellent book that’s grounded in everyday life and the truth of God’s word. 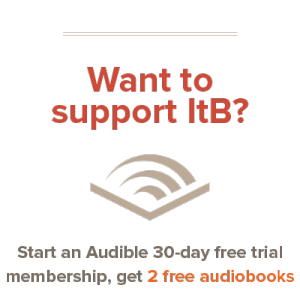 I recommend it — and stay tuned, we may be giving it away one of these days!